This expansive, 24-hour all-inclusive AAA 4-Diamond beachfront resort near picturesque Playa del Carmen is surrounded by nature. Exquisitely decorated with classic Mexican hacienda details, it features beautiful junior suites with balconies. Choose from an exquisite selection of à la carte restaurants and spectacular buffets, complemented by room service and round-the-clock snacks and beverages. 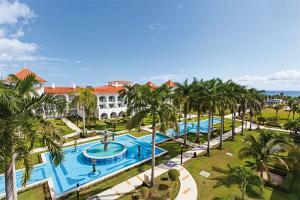 Enjoy the facilities and services of all five resorts within the Riu resort complex. Located right next to the Riu Yucatan directly on the shady palm grove and white sand beaches of the luxurious development of Playacar.